The shopping center’s convenient location and bright atmosphere make it the ideal place to spend time with family and friends. MORE’S CITY hosts many local events such as brass band concerts performed by local junior high school students and seasonal Halloween and Christmas events. For everything from daily shopping to eating out and entertainment, many foreign guests come to MORE’S CITY. Rediscover the ease and joy of shopping! 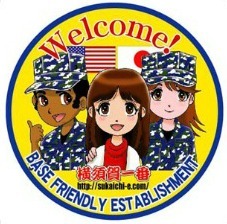 Yokosuka More's City will be closed on Thursday, February 22nd. Get the MORE’S CITY Point Card and earn points with every purchase. The card is completely free and available to anyone over the age of 12. You can get the card on the spot at each shop or at the point card counter on the 1st floor. You can receive a 500yen coupon, good at all MORE’S CITY restaurants and shops, for every 500 points earned. The grocery store and individual shops in the basement offer a huge variety of items including fresh vegetables, meats, fish, imported food, Japanese and Western confectionery. Customers who shop in bulk can take special advantage of Triple Point Fridays with the MORE’S CITY Point Card. all-you-can-eat restaurants and a roof-top beer garden in the summer (May to September). With the option to reserve all or parts of our restaurants, they are perfect for ceremonies and social gatherings. Please feel free to contact each restaurant for more details. Some restaurants offer seasonal special menus. Many different shops offer a wide variety of men’s & ladies’ clothing and other items. Plus-size clothing up to Japanese XL is sold at UNIQULO on the 6th floor. You can get shoes and sneakers up to 29 cm at ABC MART on the 6th floor. Second-hand clothing and American items are also on sale on the 6th floor. You can try on any clothing and shoes.